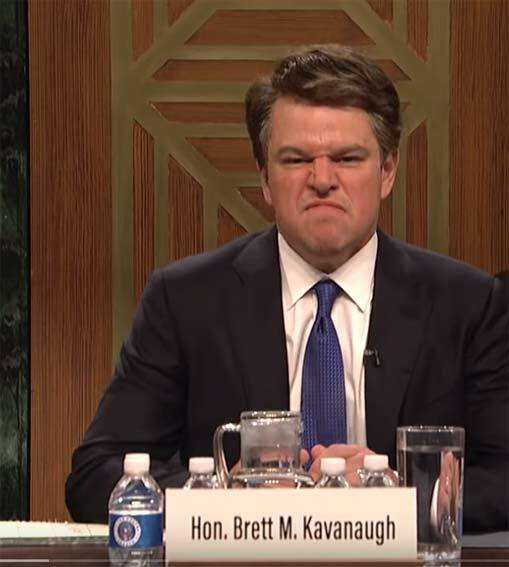 When Kavanaugh tried to fight back  in the very scene Damon was brought in to mock on "SNL"  his detractors insisted that his public anger had disqualified him from the high court. That founding American principles that formed the bedrock of civil society  like the presumption of innocence and the rights of the accused  were swept away by Senate Democrats and the media, to satisfy their politics. This relationship with Weinstein led Damon to a series of starring movie roles including that of the iconic assassin, Jason Bourne. On an ABC show "Popcorn," Damon sought to mitigate the anti-Weinstein anger of the #MeToo movement that was ending Weinstein's career. The reaction was swift and devastating. Alyssa Milano  a #MeToo leader who was a presence during the Kavanaugh hearings as a guest of anti-Kavanaugh Sen. Diane Feinstein  ripped Damon's head off in a series of tweets. Other women joined in and #MeToo went Matt Damon hunting.